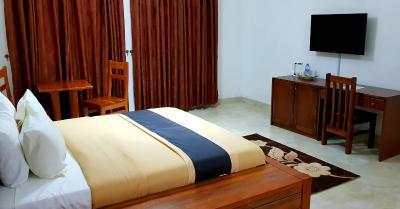 Lock in a great price for Ibisa Hotel Takoradi – rated 8.2 by recent guests! 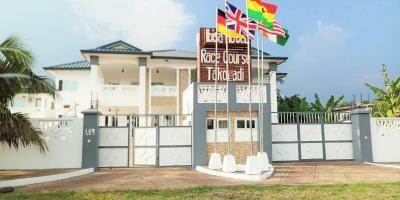 Ibisa Hotel Takoradi is located in Sekondi-Takoradi and features a garden. Around 4 miles from Takoradi Market Circle, the property is also 4.2 miles away from Shop and offers free WiFi. Guests can have a drink at the bar. All rooms at the hotel come with air conditioning, a seating area, a flat-screen TV with satellite channels, a kitchen, a dining area and a private bathroom with a shower. Rooms include an electric tea pot, while some have a terrace. Guest rooms have a desk. The reception at Ibisa Hotel Takoradi can provide tips on the area. This property is also rated for the best value in Sekondi-Takoradi! Guests are getting more for their money when compared to other properties in this city. 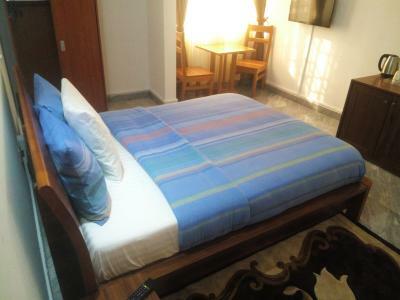 When would you like to stay at Ibisa Hotel Takoradi? House Rules Ibisa Hotel Takoradi takes special requests – add in the next step!